• Deepen understanding of human behaviour, motivation, diversity, culture, and history. It also employs the elements of theatre – costumes, props, scenery, lighting, music and sound – to enrich the learning experience, re-enact stories, and mount productions. Students gain experience in the various roles of actor, director, write, designer, and audience member. The Drama Department at KAA provides every student with a consistently outstanding education in drama. We give every student the opportunity to develop as an actor, director, stage manager and stage designer to such a level as to have the genuine option to study the arts at University or follow a career in television, film or theatre. 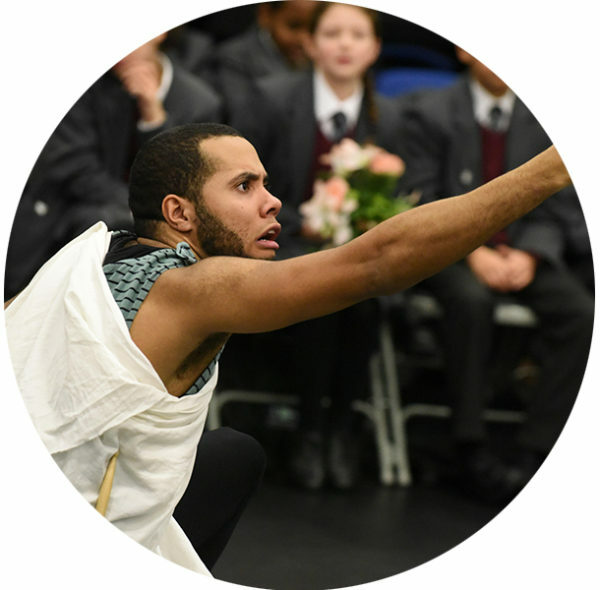 Working backwards from KS4/5 the students’ drama curriculum has embedded the skills and knowledge that will not only enable them to successfully achieve highly in examinations but also enable them to confidently articulate what makes effective theatre. The foundation skills that Year 7s develop will ensure that they are able to achieve excellence in GCSE and A Level Drama. We believe that our programme of study will develop confident and enthusiastic drama students, with a passion for the subject. Te aim is for all students to have the self-esteem and confidence to perform. The foundation skills that Year 7s will develop will ensure that they are able to achieve excellence in GCSE and A Level Drama. We believe that our programme of study will develop confident and enthusiastic drama students, with a passion for the subject. The aim is for all students to have the self-esteem and confidence to perform. The foundation skills that were explored in Year 7 will be built upon in Year 8 and a higher level standard of performance and evaluation will be at the core of the Year 8 curriculum. This will continue to ensure that they are able to achieve excellence in GCSE and A Level Drama. We believe that our programme of study will develop confident and enthusiastic drama students, with a passion for the subject. The aim is for all students to have the self-esteem and confidence to perform.